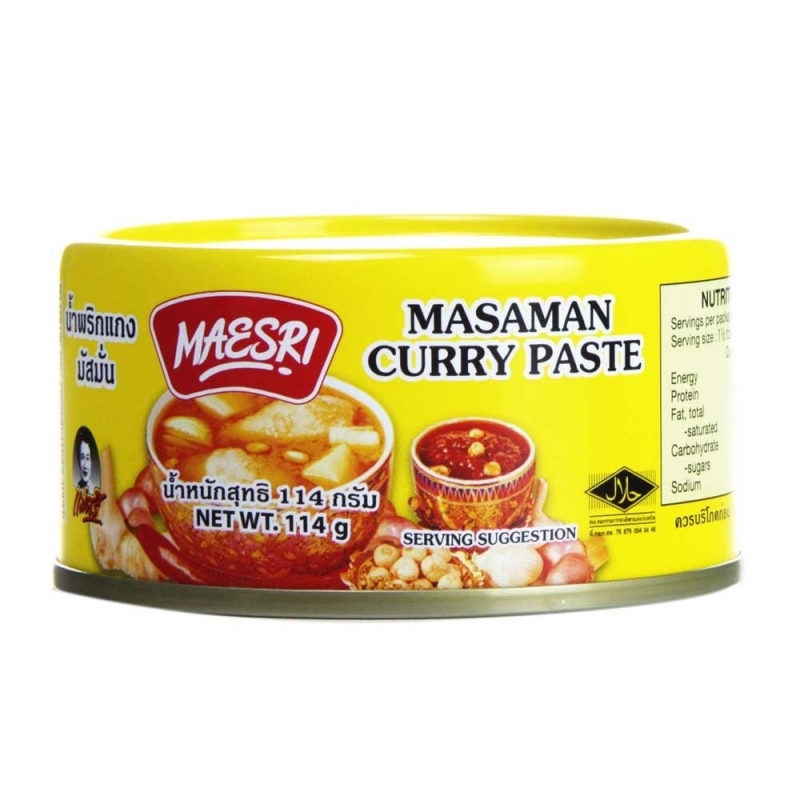 Minimum quantity for "Maesri Masaman Curry Paste" is 2. Massaman curry is an exotic coconut milk based Thai curry. Maesri Massaman Curry is made from the pure, finest, natural ingredients and free from food preservatives. Maesri Brand is recognised in Thailand as a high quality export product with rich taste and authentic flavour. This curry is most commonly made with beef but can also be made with chicken.